When I was in Uganda two years ago I learned about a program that Call to Africa had just recently started whereby they were delivering a couple in-calf cows to a few different Ugandans that they knew could really benefit from the milk production as well as the opportunity to use the new calf to pay it forward or provide future, ongoing reproduction. I was really impressed by this self-sustain idea and coined it the #cowproject. I explain more about this in my original blog post about the cow project here. 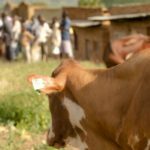 The story gained some international attention which resulted in many of YOU folks giving toward more cows. I went out on the road about a year later on a Great Lakes trip to raise money for 1 cow. The generosity of my friends and readers led to several cows being delivered last year during a trip that I was, quite sadly, not able to go on due to some serious health issues I was having at the time. 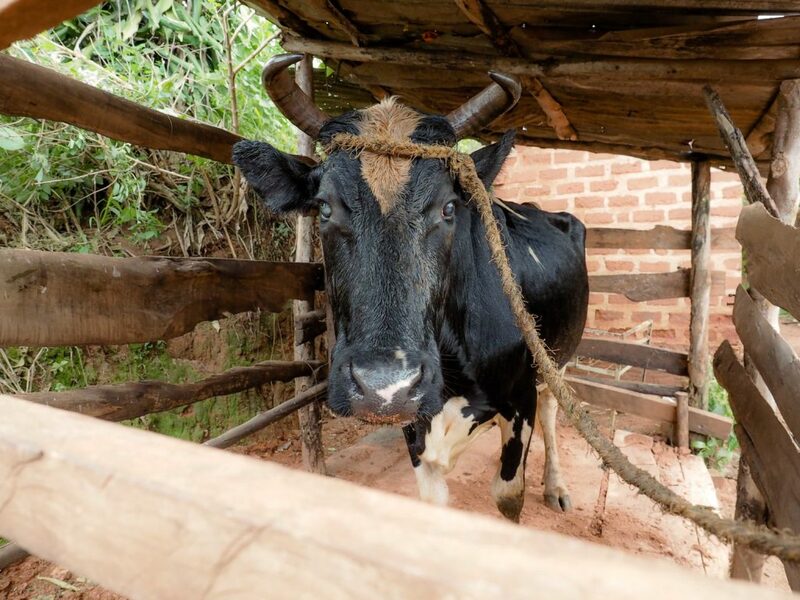 But, my friend Alicia Ellis was able to go with a new CTA team, and she was able to work with Joseph to deliver all of the cows, each going to a different location across the magnificent Ugandan countryside. Because the cows are scattered across Uganda, I was not able to follow up with all of them on this trip where we are doing all of our work in Eastern Uganda only. So far to go, so little time! However, I did cover the story of one Cow Project cow here in a previous blog post. 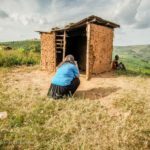 And….I had the awesome privilege of shooting the delivery of a new in-calf cow to a Christian pastor and his family in the village of Mbeko. I can tell you from first-hand experience that Reuben and his sweet wife and their 5 children are extremely grateful for the generosity. Reuben and his wife are generous folks themselves, even though they have so little. 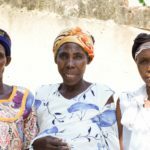 They will be able to use the milk that comes in due time for not only their family but also for others in their village. 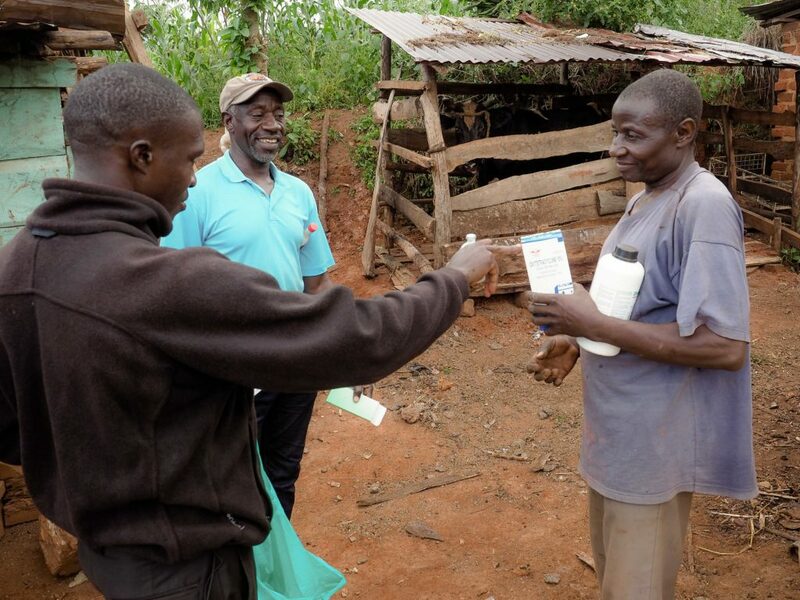 During the delivery of the cow to her new home, Joseph and Samuel, both veterinarians, were able to provide Reuben with a care kit of essential supplies to keep the cow healthy, especially as she delivers a new calf in about 3 months’ time. 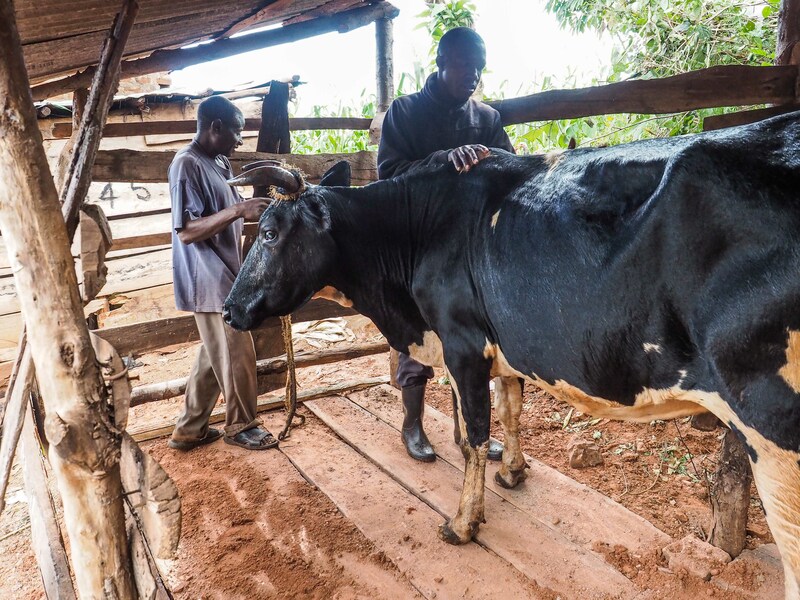 The care kit, the in-calf cow, and the pickup/delivery costs are included in the cow project price for a single cow. 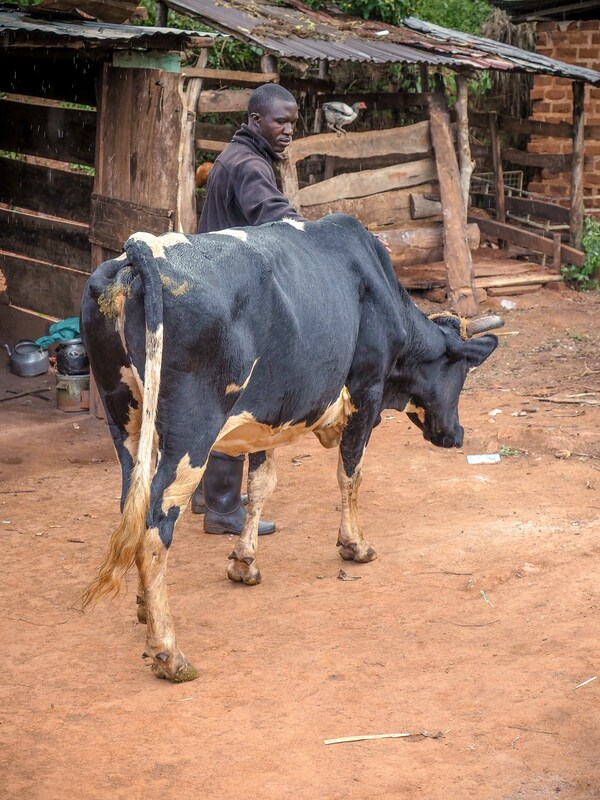 On behalf of Reuben and his family, I want to thank all of you for your generosity as the Cow Project continues to bless people in Uganda and creates an opportunity to teach people about farm animal management and self-sustaining capabilities. It was truly a pleasure to see Papa Joseph again (the name my daughter, Halla, gave him when she was here with me two years ago). Joseph is such a kind and generous man, sharing his extensive knowledge freely. 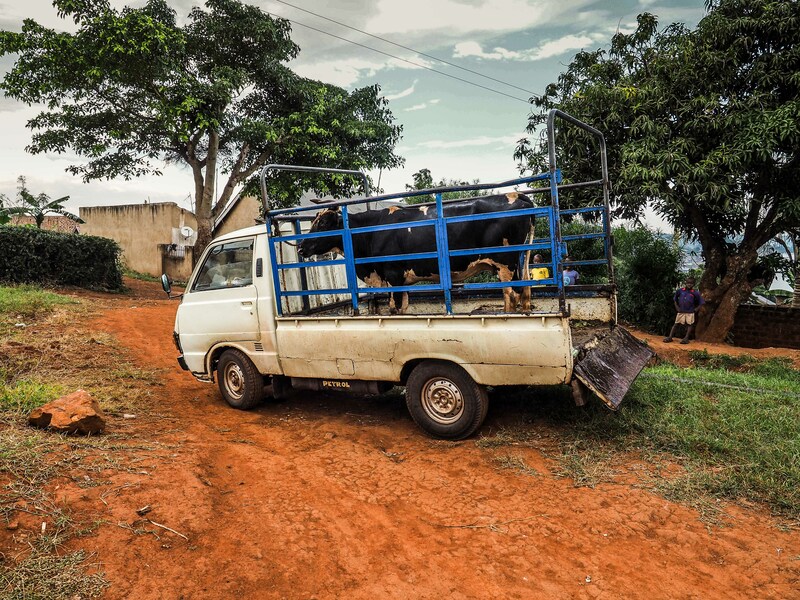 He traveled some distance from his village of Mbarara on the western side of Uganda to come to us here in Jinja area to shop for and select the best cows and arrange the deliveries and care kits. He does so much! Is this my new home? It is important that you understand we mzungus (white people) cannot be a part of the actual shopping for or buying of cows and supplies as the prices will automatically double (or more!) when mzungus become involved in a business transaction. Mzungus are “rich,” you see. At least by Ugandan standards. And they are also willing (and maybe ignorant enough) to pay the outrageously escalated prices. CTA relies heavily on some trusted and savvy Ugandan men to arrange these transactions to get the best prices possible as well as the best selections. We could not do what we do without them! Samuel was a student at Good Shepherd school during his earlier years. After completing his education there, he went on to secondary school or high school and then on to college, ultimately graduating from veterinary school. His education was sponsored by a generous man in the US who paid the tuition that Samuel’s family could not pay when his father died. I can assure you he is putting that education to good use! 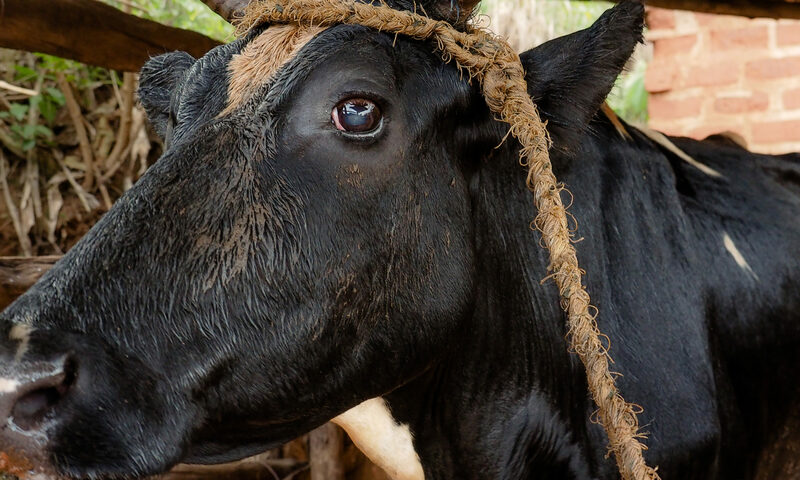 And because he lives nearby to the village of Mbeko where this particular cow is now living, he will be able to check in and provide on-going vet care as needed. He volunteered his time to come with us and begin the initial process of educating Reuben on cow care for the coming months. 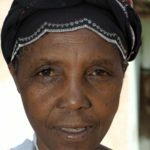 Samuel is just one example of many who are using their education to give back to their fellow countrymen, and, one by one, are making a difference that will become more evident in generations to come. I am excited to be some small part of this, even if it is by simply taking photos. Thank you, again, to all who have so kindly given toward the Cow Project. It is making a difference. I have seen the tears flow from eyes filled with extreme gratitude. PS. Two more cows will be delivered in the coming days. One of them is going to Dbembe Orphanage which I will tell you about in an upcoming post. For as long as I can remember I have been in love with Africa. It may have started with a novel I read once that took place in various parts of this most exotic continent. Whatever it was, Africa captured my attention and has beckoned me ever since. 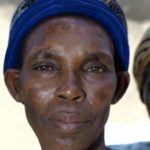 Today, at the age of 47, I sit here in Africa typing this blog post. This is a dream come true. And it’s because of cats, in a very weird, twisted only-God-can-do-this kind of way. In 2012 a young woman from Alabama attended my school, The National Cat Groomers Institute. Brittany Clark was one of many, many students we had over the years, most of which came from places far away. Brittany learned about the school program from another former student from Alabama named Robyn Warner (thank you, Robyn!). I have kept up with both these ladies via social media, as is the way of things these days. 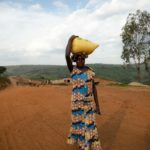 In January of this year, I started seeing images of Africa pop up on Facebook as they were shared by Brittany during her first visit to Uganda with Call to Africa missions organization. I was jealous. I wanted to go to Africa! Months later, after getting to know the work of CTA a little bit more through Brittany’s posts, I was most intrigued and reached out to Mzungu Brittain, as she is called here in Uganda, asking when the next trip would be and would they need a photographer to go along to do a photojournalism piece. It was a long shot, but I am living proof that long shots can actually turn into realities and, well….. you never know unless you ask. Unbelievably Brittany responded to me that, yes, indeed, a photographer would be a most welcome addition to the team as CTA really needed to be able to share their mission with the world. What better way than with photographs?! The tricky part was going to be timing and working out the logistics of fitting CTA’s next mission to Uganda into my already packed travel schedule. As luck (NOT!) 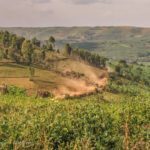 would have it, The 2-week trip to Uganda departing May 29 and returning June 13 fit just perfectly, exactly, miraculously into a tiny little 2 week slot between trips that I already had planned or contracted for work! Miracle indeed! What makes this story even more interesting are the events that happened in Sydney, Australia last September and then again just north of Sydney in February. You can read about those events here and here. All of this leading up to now….today…..me sitting here in a small cafe in downtown Jinja in eastern Uganda, not far from the source of the Nile River. I am listening to people converse in Luganda and Nyankore. I am a “mzungu” (white person) in the midst of true Africans, typing away on my Mac, enjoying the luxury of a latte which I have not had in quite some time. Oh how I have missed my lattes! 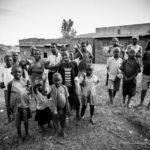 I have been across the country of Uganda and back in the past week and a half, visiting remote villages as well as larger cities. I have seen rivers, lakes, elephants, crocodiles, baboons, and folks carrying full-grown pigs on bicycles. I have been to the Equator. And I have been charged by an angry hippo yet lived to tell about it. 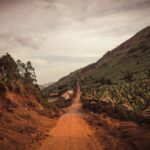 I have driven a van in Uganda and also lived to tell about that. (There is probably a greater risk of dying while driving here in Ug than getting killed by the deadliest animals on the planet, the hippo!) This is my dream come true and I am loving it! 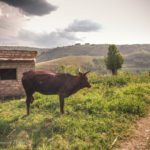 I am so honored to be a part of the Call to Africa team that is here for 2 weeks to minister, teach, train, build, repair, relieve, deliver life-sustaining cows, care for life-giving animals and provide much-needed respite for overworked care givers at a local orphanage. I have witnessed people with nothing in the way of physical possessions delight in something as simple as seeing their image captured by my camera. I have seen children that belong to no one and have nothing to their names smile and giggle while chasing bubbles down a red dirt road. 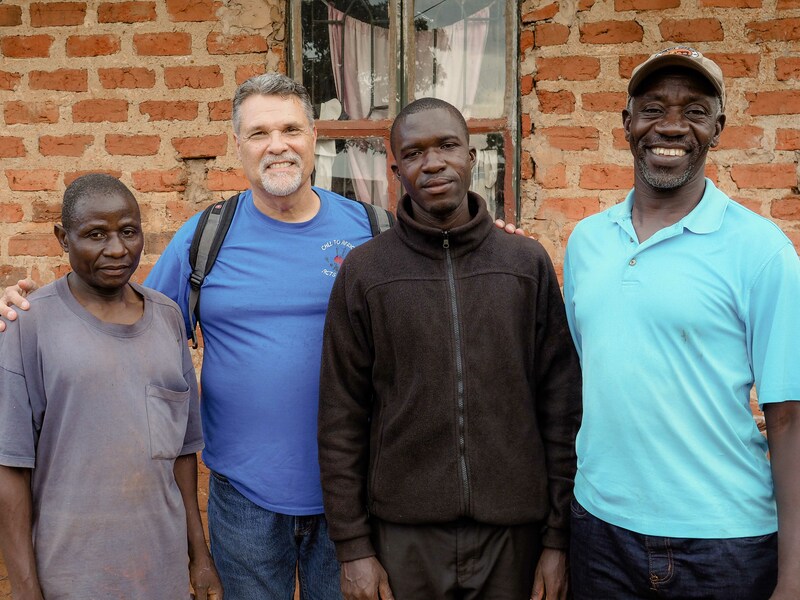 I have witnessed generosity from a few friends and family back in America and around the world as they have given toward my boda boda for Joseph project that has become my new personal mission. I am building friendships with wonderful folks from Alabama, Florida, Uganda, and Botswana. When you spend 8 hours in a crowded vehicle with no air conditioning bouncing along potholed roads for 2 weeks, hungry, tired and needing to pee, you get to know your fellow travel companions quite well! We have an awesome team! I am grateful. I wake up each morning thanking God for the fact that I can enjoy running water when I return home. I will not have to haul water up a mountain in the mud. I have a new appreciation for air conditioning and timeliness. Never again will I complain about a rough road at home in the USA. Never. I have fallen in love with the beautiful land of Uganda and its people, culture, colors and the way that 3:00 might mean 4:30 or just whenever. 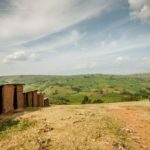 Clint Galyean with Call to Africa told me yesterday that there is no such thing in Uganda as “it doesn’t fit” or “we don’t have room.” I love that! And it is completely true. 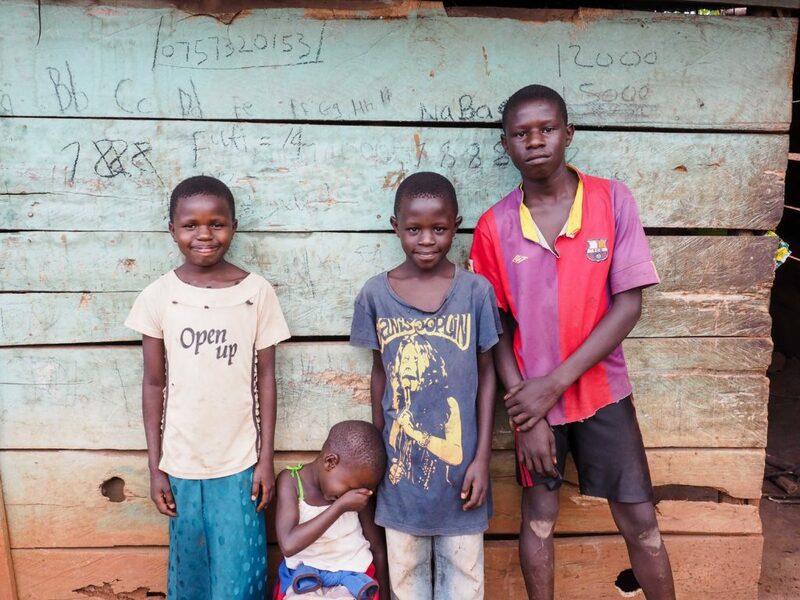 Why yes, you can carry 3 kids, a bike, a goat and a few chickens on a boda boda. Throw in a mattress for good measure! Why not? At home we often say “where there is a will there is a way.” But here in Uganda I think it is more “where there is a need there is way.” In this land so far from home, needs are truly needs, not the Americanized version of “needs.” We in Western cultures have so much and yet, at the end of the day, I think it is these people who have so little in the way of material things and conveniences that really have the most. I will be back again! Ideas are percolating and being formed even as we speak. There is more I can do here – so much more. I will return. My dream has come true. I am in Africa. 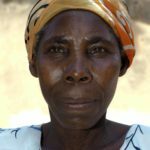 A lovely Ugandan woman from the village of Karungu. Such amazing scenery! These are the roads we have traveled to reach some of the people in very remote places. 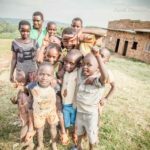 Joyful children that have none of the “necessities” that Western kids enjoy. They delight in the little things like having your photo taken! A beautiful story in a photograph of Mummy Bunny from Botswana drying one of the freshly bathed children at the Sangaalo orphanage. Fishermen heading out to work on the lake. Fishing is their livelihood as they work amongst crocodiles, hippos, water buffalo and other creatures. 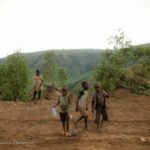 The children work hard in the villages, carrying heavy jugs of water and more several times per day. Even in the heat. Even in the rain.